Woah. Has it been 5 weeks already? That’s insane. Although we have had a little bit of trouble here and there coming up with ideas of what to sketch, I think we’re doing a pretty good job at keeping up with this project. See for yourself! Day 31: Stef struggles with what to draw today, so she resorts to a scene that she enjoys depicting in projects: a lighthouse on the beach. (See for yourself. Here’s a short motion graphics piece she created for a class project last year.) 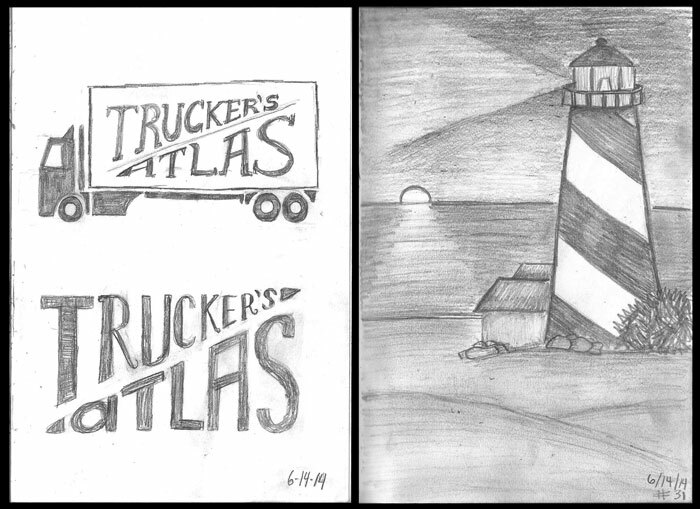 Sean, on the other hand, has everything figured out with a logo for a fictional beer based off a Modest Mouse song. 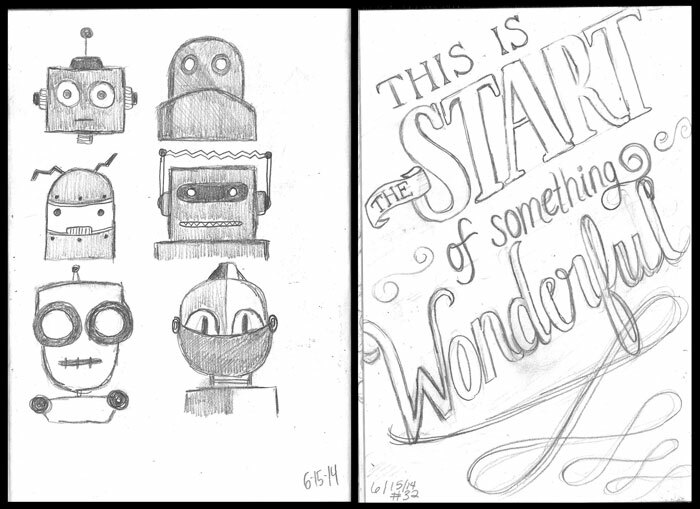 Day 32: Sean creates some cute robot characters, while Stef tries to keep things optimistic with a hand-lettered quote. Day 33: Welp. This one needs explaining. Sean draws an octopus wearing 8 sandals, similar to the Build-a-Bear octopus we saw at the mall the other day. It stuck out to us because they encouraged customers to buy MULTIPLE pairs of shoes for the toy. That’s just silly. 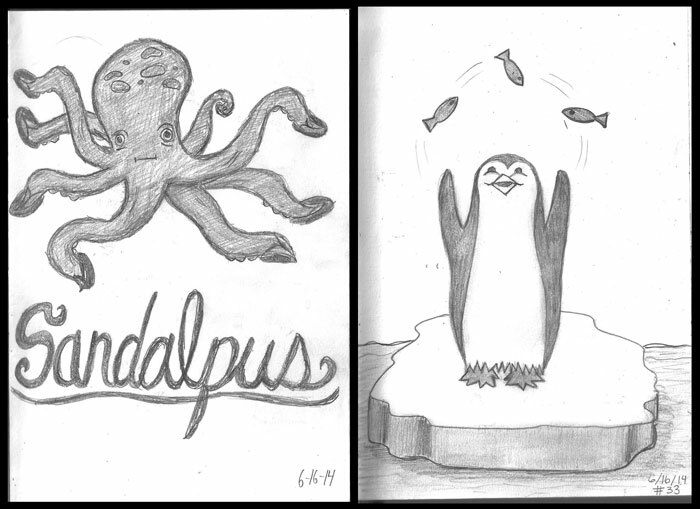 Stef keeps the day’s sketches aquatic with a sketch of her favorite animal: a happy, smiling penguin juggling some fish. 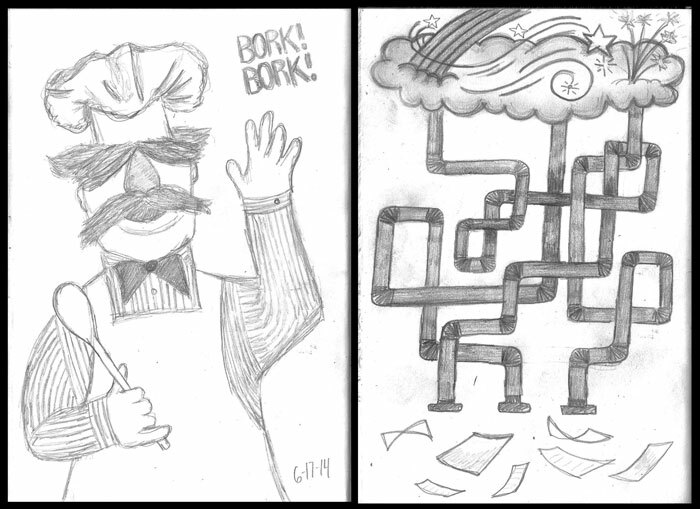 Day 34: BORK! BORK! Sean cooks up an awesome drawing of Swedish Chef from the muppets while Stef desperately struggles to come up with something to draw. In her attempt, she tries to capture what it’s like to have cool ideas and the confusing process of having them bounce around in her head until they pop out onto paper. And that’s all, folks! Another week finished. 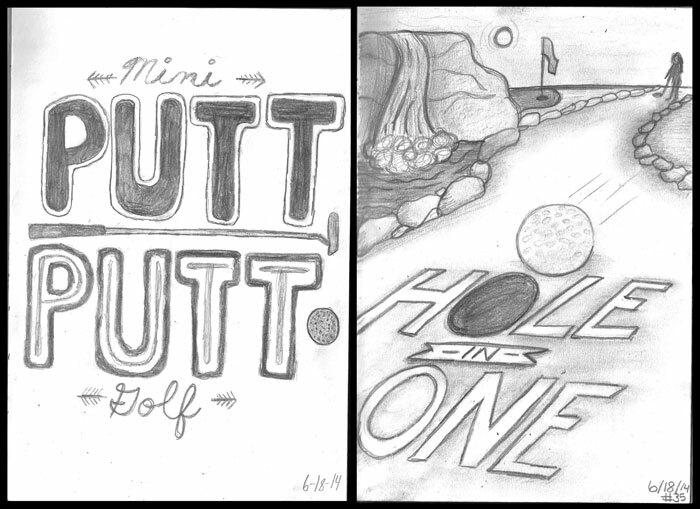 It’s crazy to think we have kept up with these sketches for this long, especially since we still sometimes struggle to come up with something to draw. 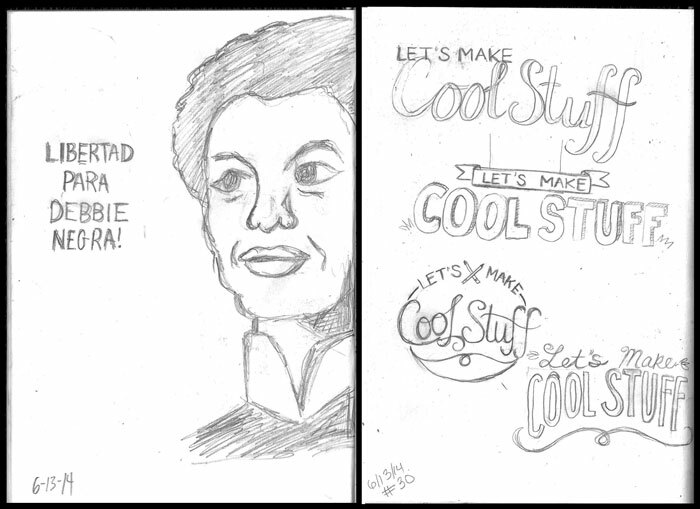 Hopefully, if we get out and do more awesome activities this summer, we’ll have more inspiration for things to draw in the future. 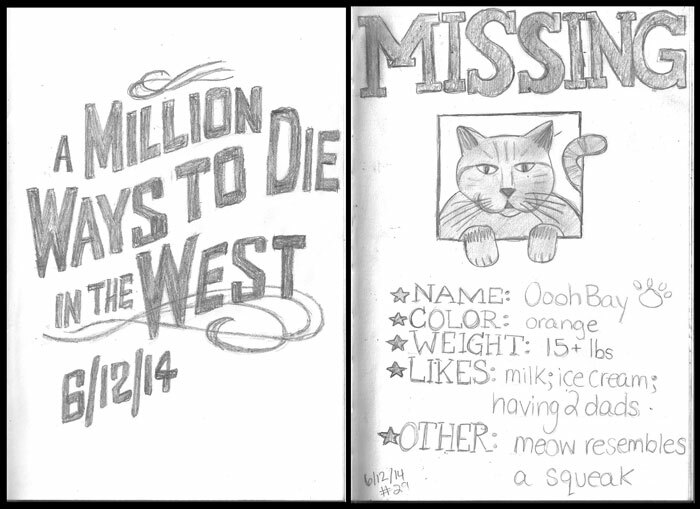 Keep checking back for more sketches, recipes, and other cool stuff to come!